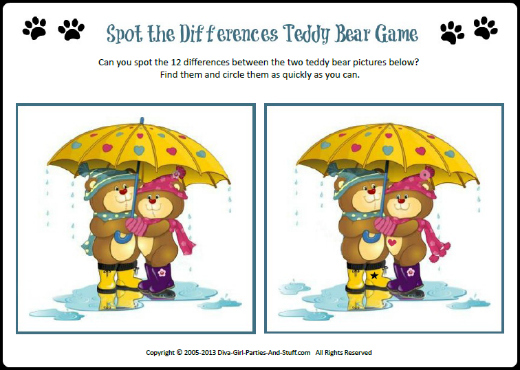 Free printable teddy bear party games for hosting a teddy theme party or celebrating National Teddy Bear Day. 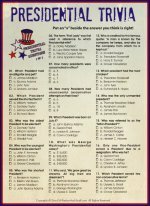 For a free printable version of the game and the answers, please fill in the form below. 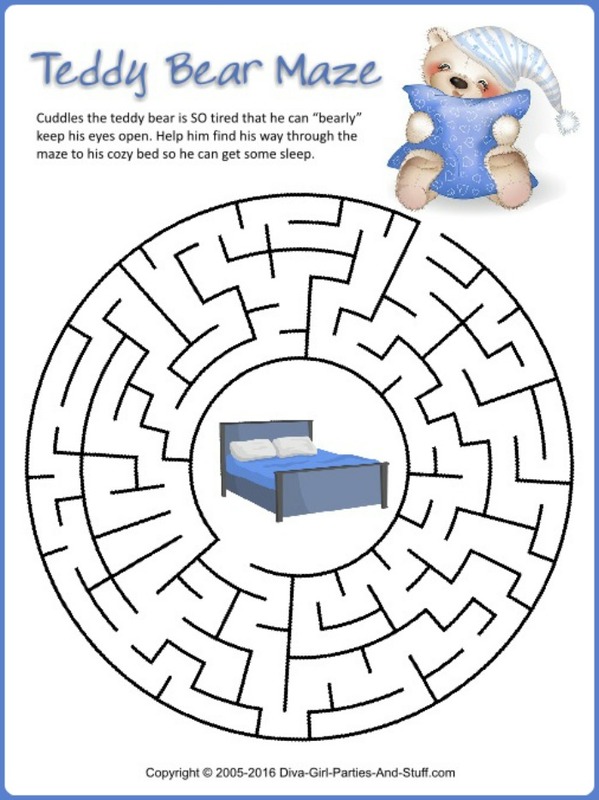 Help the Cuddles the teddy bear find his way through the maze to his cozy bed. For a free printable version of the game, fill in the form below. 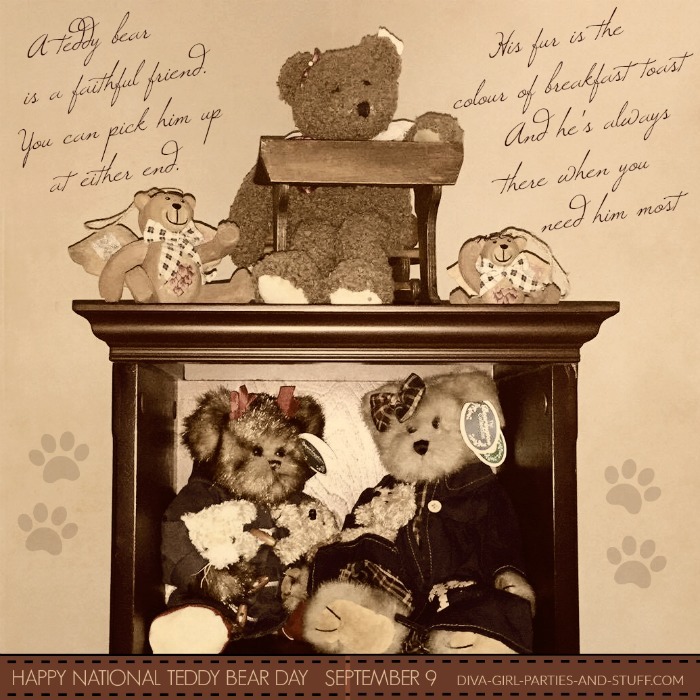 Sweet printable teddy bear paper doll created by Teri Pettit. Visit her doll page HERE and click on the teddy bear for a free high quality printable version of the bear. Do you remember playing with Cootie Catchers during your school days? Andrea from Easy Peasy and Fun has created one that looks like a teddy bear. In fact, she has created all sorts of other animals too. I used her shark cootie catcher at a recent party and the kids LOVED it! 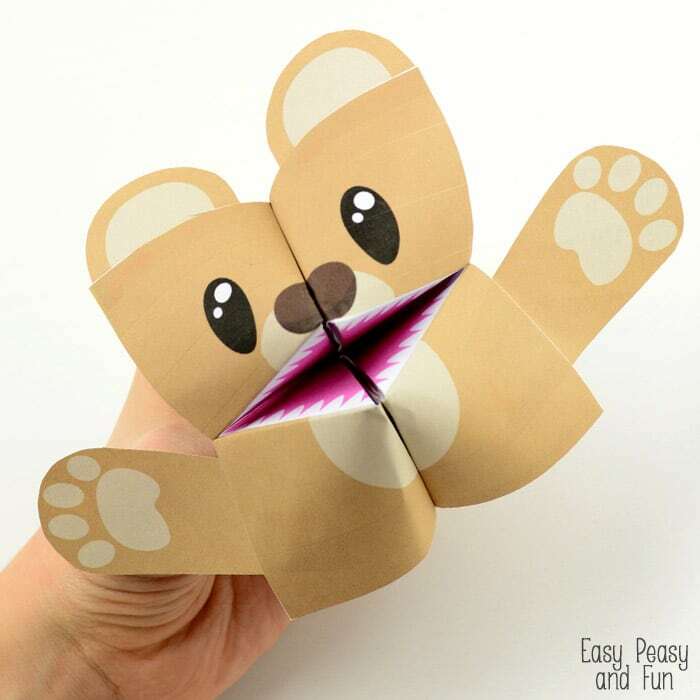 Visit Easy Peasy and Fun to get your free printable teddy bear cootie catcher.